In early 2014, Swedish pharmacy chain Apotek Hjärtat launched a new line of hair care products under the name Apolosophy. Premium beauty products were not previously promoted by pharmacies in Sweden. 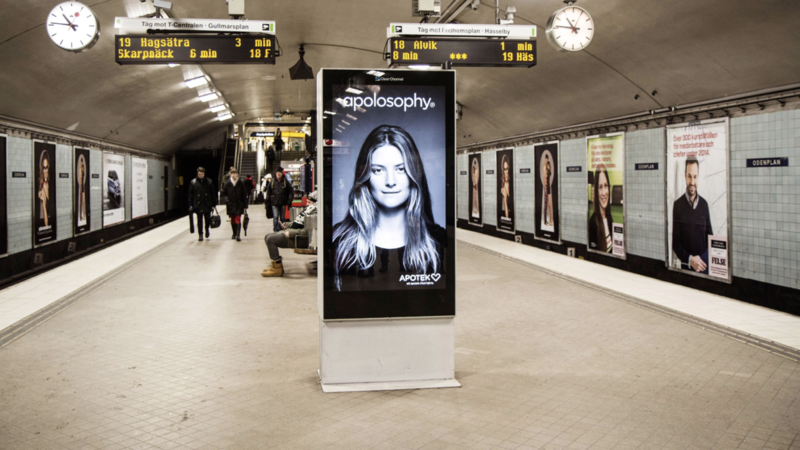 To capture the public's attention and show them that Apolosophy brings hair to life, we fitted digital screens on subway platforms with ultrasonic sensors that reacted to trains arriving at the station. The resulting reactive ad gave the illusion of a woman's hair blowing in the wind.